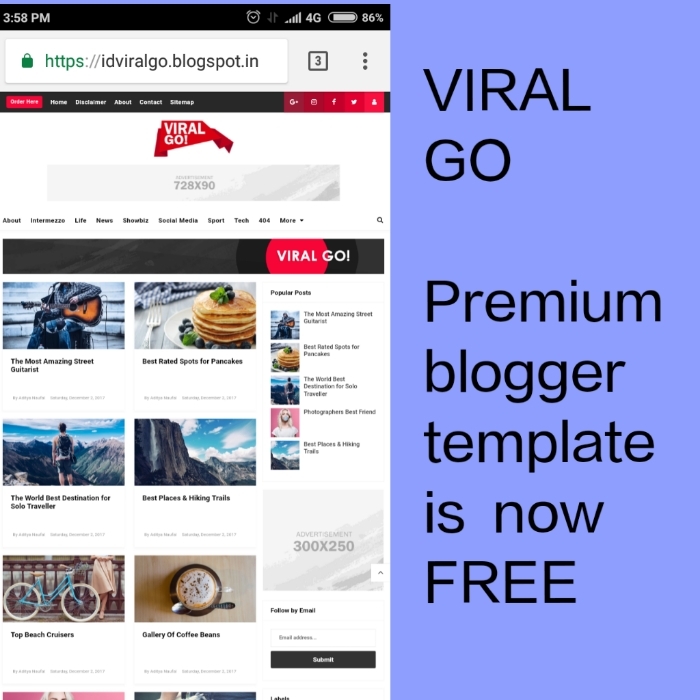 Viral Go Blogger Template New Version is 2 column, responsive design, SEO friendly, right sidebar, gallery-style, minimalist, a fantastic design, advertising website, pagination social bookmark icon, related posts with post thumbnails, costom page support, 404 error page, designed a free page Optimized and neutral color Great for blogs about any common theme or a private portfolio site. Download Viral Go Gourab Design for free. Gourab design always shared premium models Beacause paid is paid .Friend free version don't use your blog because it has bad script and footer credit his owner site. Please note:- This is a Recently Published template.So you can download this new version are free.Only share my website and your feedback.Thank you visitors.